In the last of my annual Alphabet series, we've reached the "W"s, starting with Wakehurst Place in Sussex - one of the great British gardens that's open all year round. 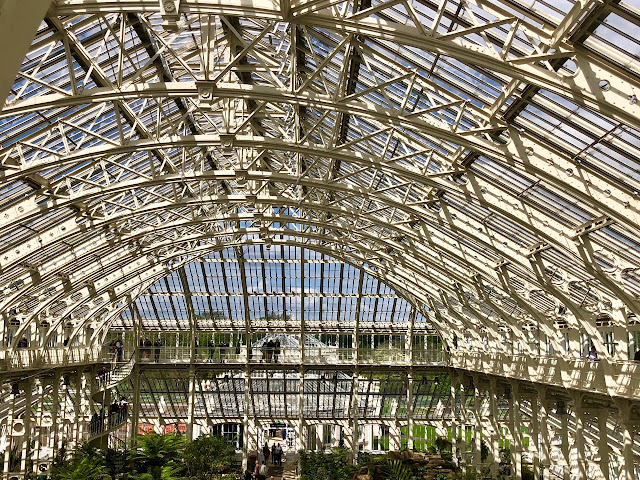 Home of the Millenium Seed Bank, and site of many fine specimen trees, you can visit in any season and find something of interest here, in the 170 acres that make up Kew's country garden. Originally created by Gerald Loder, who became Lord Wakehurst, the property is now managed by the Royal Botanical Garden in London. 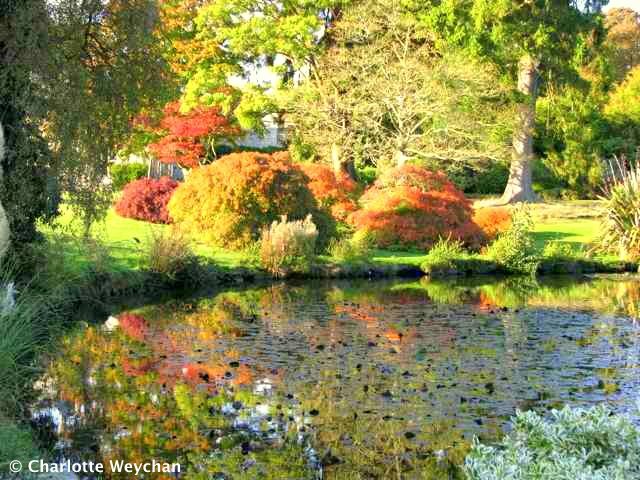 Waterperry Gardens near Oxford also remains open throughout the seasons. This is a garden to visit at any time of year since there's always something in bloom and will soon to be a star in the snowdrop line up here in England, as the little white heads start to show in February. This garden has an interesting history - former home of Miss Beatrix Havergal who lived here in the 1930s - who ran a school "to educate women in horticulture". 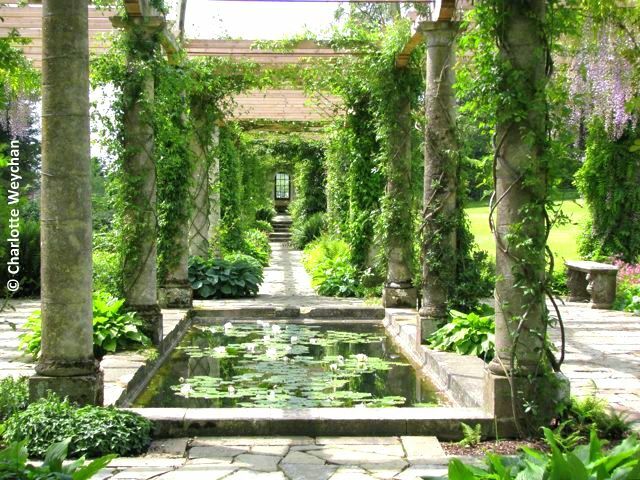 West Dean, with its wonderful Harold Peto pergola (above), is another garden to visit throughout the seasons - open throughout the year except over the Christmas/New Year holiday period. 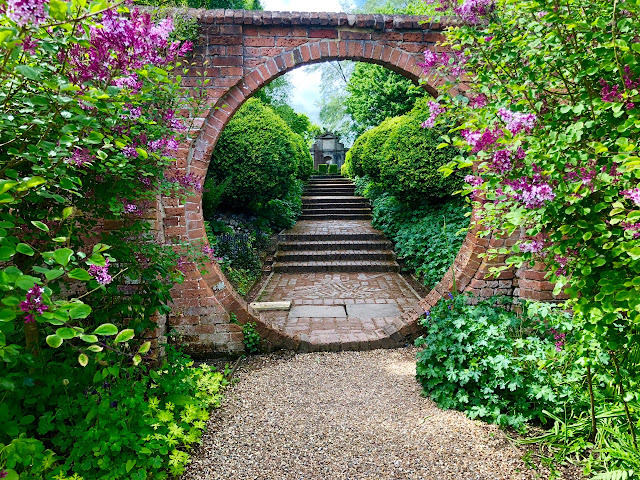 Famous for its immaculate walled garden, with fine displays of fruit and vegetables in season, this is one to visit and re-visit if you're looking for ideas and inspiration for your own garden. Also famous for its themed weekends - check the website here for details. 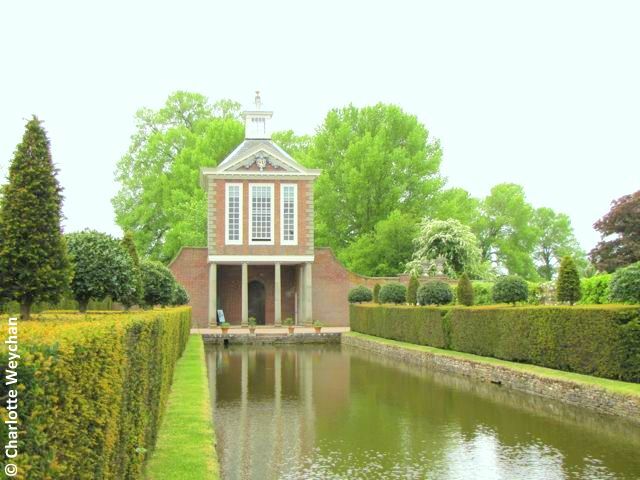 Westbury Court on the banks of the River Severn in Gloucestershire, is the last remaining Dutch water garden in Britain. Sadly I visited on the one rainy day out of a whole week, while touring gardens in the area last summer, so the photograph does little justice to this garden. But it's a charming example of this type of garden and despite its proximity to a rather noisy main road, it's worth stopping to see if you're in the vicinity, because it's so unusual. Wisley, one of England's four gardens run by the Royal Horticultural Society (RHS) is another that blooms throughout the seasons. Stretching over 240 acres, there's something for all aspiring gardeners here and you'll have a chance to think about what you could do at home. Particularly interesting on a grey wintery day are the huge glass houses and the alpine collections. You might want to think about joining the RHS because membership gives you free entry to all four of its properties around the UK, as well as a subscription to its monthly magazine "The Garden". There's also a special offer on right now, offering you 15 months membership for the price of a year. This has been wonderful. I love that pergola! 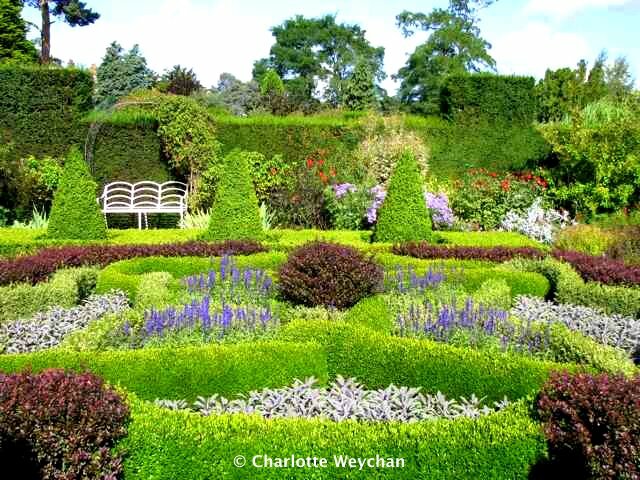 Hi Charlotte, lovely pics as usual, I would have to pick Waterperry as my favourite W, but I love Wisley too. And I can't let winter pass without going to Wakehurst to catch the waft of Daphne, usually 20 yards before finding the plant! I do love the formality. So elegant. 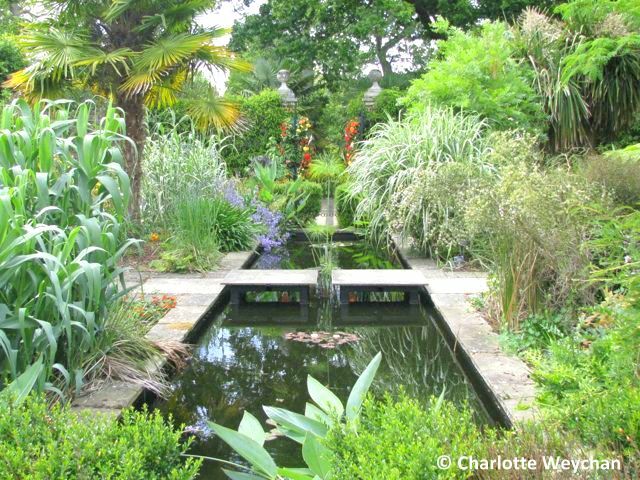 I love the reflections of the gardens in the water, so beautiful and clear as a mirror! thanks for the tour. Of all the gardens in england Wisely is the one I most want to visit (been to Kew, etc before). Charlotte, thanks for the marvellous journey,I have thoroughly enjoyed it. I like those long water shots. That's it!!! I'm packing my bags and going garden touring...! Ok, I'm actually just going to work and will dream of traveling to see all these amazing places. Thanks for the mini-vacation!! !